select *, DATE_FORMAT(birthday, "%b %e, %Y") as _birthday, DATE_FORMAT(died, "%b %e, %Y") as _died, MONTH(birthday) as month_birth, DAY(birthday) as day_birth, DATE_FORMAT(birthday, "%b %e") as _birth_day_month from agatti_people where agatti_people.u_name = "groucho-marx"
Shares birthday with Bud Abbott, Charles Drake, David Hempstead see more.. Legendary actor, Groucho Marx, was born Julius Henry Marx on Oct 2, 1890 in New York City, NY. Marx died at the age of 86 on Aug 19, 1977 in Los Angeles, CA and was laid to rest in Eden Memorial Park Cemetery in Mission Hills, Los Angeles County, CA. Julius Henry Marx was born on October 2nd, 1890 in New York Cities Upper East Side. He was born in a large family of five boys, all of whom would end up in show business. Their material Uncle, Al Shean, was noted vaudevillian performer with whom the Marx brother were close. Although his mother, Minnie, was not a performer herself, she saw that her sons took after their uncle's talent. Soon, she began to push her children towards the performing arts So, while the eldest brothers Leonard (Chico) and Arthur (Harpo) proved to be skilled at their respective piano and harp, Julius Marx worked along side him, developing a strong tenor singing voice as well playing the guitar. Although Marx had a strong desire to become a doctor, his family's meager income made that impossibility. At age 12, Marx was forced to quit school in order help with the family finances. He worked a series of odd and menial jobs for a couples years before once again taking to the stage again in 1905. He first sang soprano with the vaudeville act The Leroy Trio. By 1907 the Marx Matriarch would go to form the vaudeville troupe "The Nightingales" The trio consisted of Groucho, Gummo and singer Mabel O'Donnell. Two years later they added Harpo, this becoming The Four Nightingales. Although touring the circuit for years, The Nightingales, no matter what form, were never popular with the Vaudevillian audiences and were met with very limited success. One night, however, Groucho grew tired of their indifferent audiences and along with his brothers decided to crack a few impromptu jokes aimed directly at the audiences. Much to their surprise, the audience loved it and The Marx brothers began to explore their comedic potential. Soon the Marx Brothers began to work on developing their comedic. In 1912, the brothers put together the classroom musical comedy Fun in Hi Skule. In the act, Groucho played a German-accented teacher in charge his students, Harpo, Chico and Gummo. Two years the act was revamped by their Uncle Al Shean. In 1915, youngest brother, Zeppo, joined the troupe after Gummo left to serve in the WWI. It was also that year the brother's public persona began to take shape. Chico developed his fast-talking, Italian accent in hopes of covering his Jewish heritage. Due to Harpo's hatred of public speaking, Uncle Al specifically wrote his character as a mute, relying on pantomime to communicate to an audience. Because of the sinking of he Lusitania in 1915, there was widespread anti-germanism in the United States, and this Grouchos German schoolteacher began receive boos from the audience. He recovered quickly, adopting the fast-talking, wise-guy comedian persona that would become his legacy. Under the care eye of Groucho's creative control, by 1920 The Marx Brothers were one of the most popular vaudevillian acts in American. Under the shrewd business dealings of Chico, the brothers had made the unprecedented jump from vaudeville stars to the Broadway stage, starring in three Broadway plays. No comedic routine had ever taken Broadway by such a storm. In 1924, the brother made their Broadway debut with the revenue I'll Say She Is. Although very successful, the play was merely a rehashing of their previous successful acts and offered no new material. The next year that would change. In 1925 the brothers starred in the Broadway musical comedy The Cocoanuts with music and lyrics by Irving Berlin. The play was written specifically for the Marx brother's by famed playwright George S. Kaufman and helped create the manic tone of a Marx Brother comedy. 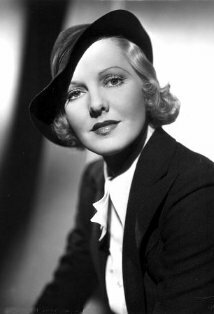 Kaufman would go to author the brother's next hit, Animal Crackers, working to further developed the already strong characters of Grouch, Chico, Harpo and Zeppo. All three plays were smash hits, creating something of phenomena around the Marx Brothers. Of course it did not take long before Hollywood came running. In 1929 the Marx Brothers signed a five-picture contract with Paramount Studios. The first film they began work on was an adaptation of their Broadway hit The Cocoanuts. The shoot proved to be particularly exhausting, as the brother's were still obligated to finish their run of Animal Crackers on Broadway. So, during the day the brother shot at Paramount's New York Astoria Studios and at night continued with Animal Crackers. 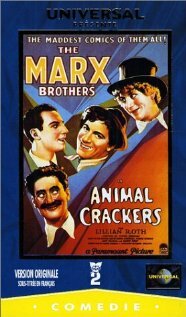 The film was box-office smash and soon the brothers were working on their next film, once again another adaption from the stage, 1930's Animal Crackers. In the film, Groucho plays explorer Captain Geoffrey T. Spaulding, man who wreaked havoc on a dinner party thrown in honor after a famed painting goes missing. Because the sound technology for film had greatly improved since their last release, Marx had more freedom and creative control with his performance. The film was critical and commercial success. In 1931, the brother would pack their bags and move to Hollywood. Upon arriving to the west coast, the brothers immediately began working. Their first Hollywood film was 1931's Monkey Business. The film offer little in terms of plot but that only to make way for the brothers zany antics. Although not a direct adaption of their Broadway work, the film did contain many routines and antics seen in their stage material. The film was a hit and immediately solidified the brothers as Hollywood stars. Their next film was the college-set Horse Feathers. In the film Grouch plays sarcastic Professor Wagstaff, while his brothers play students. Once again, the Marx Brother although the film did make money, it was not as successful as the brothers previous releases. That same year, Groucho teamed with Chico for the NBC radio show Flywheel, Shyster, and Flywheel. In 1933 the brothers released absurdist politician satire Duck Soup. 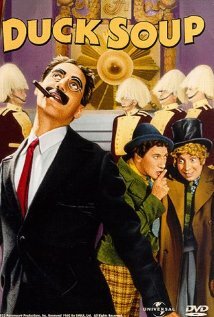 In the film Groucho plays Rufus T. Firefly, accidental ruler of the small, bankrupt country of Freedonia. Although the film is now considered a classic and one of the Marx Brothers best efforts, it was not very well received upon its release. The film garnered mixed reviews at best, and although not a box-office flop, the film still made a significantly less amount than their previous releases and failed to meet the studios lofty expectations. Having fulfilled their five-picture contract with Paramount, the brothers parted ways with the studio. After their departure from Paramount, they were immediately picked up MGM. Under MGM's tenor, the brothers were given softer edge to their comedy. In their first MGM film, 1935's A Night at the Opera, Groucho played businessman Otis B. Driftwood, who along with is friends (Chico and Harpo) was helping two singers make it big by sabotaging their snobby opposition. Now ore helpful than absurdist, the comedy was centered on how their comic foils were not aimed at staunch dowagers, but rather the snobby and elite. Although not everyone was in love with the change, the film was a smash hit. Their next film, 1937's A Day at the Races was equally as successful. That same year he also wrote the Warner Brothers screenplay The King and the Chorus Girl. 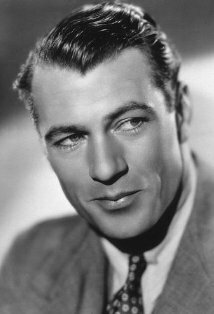 In 1938 he starred with his brothers and a young Lucille Ball in the RKO priced Room Service. The film was the only one in their catalog not written especially for them. The brothers returned to MGM for three more films 1939's At The Circus, 1940's Go West, and finally, 1941's The Big Store. Unhappy with formulaic nature of a MGM production, the brothers left the studio once their contractual obligations were up. After his experience at MGM, Marx took a break from Hollywood to work in television and radio. In 1943-44 he was the radio-host of the musical variety program Pabst Blue Ribbon Town. He also took the time away from production to write, working on his play A Time for Elizabeth. The Marx reunited once more for the 1946 film Night at Casablanca, returning their old anarchic form. Groucho returned to the screen the next year, sans brother and mustache, in the musical comedy Copacabana. In 1947, Marx began hosting the radio quiz show You Bet Your Life. The show was the perfect venue for Marx to display his quick wit and sardonic humor. The show soon transitioned to the new medium of television with Marx Following. He hosted the show from 1950-1961, earning an Emmy Award for Outstanding Personality along the way. 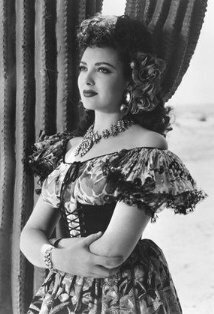 In 1950, the Marx Brother's the subpar Love Happy. 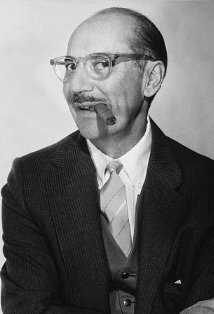 Groucho continued to make small cameos and appearance in Hollywood films through out the 1950's but mainly concentrated on his television duties. In 1957 the brothers made their final film appearance together, this time in all-star comedy The Story of Mankind. In 1961, after the death of his brother Chico, Marx began to slow down. His final onscreen appearance would be in the 1968 Otto Preminger comedy Skidoo. In 1972, Marx embarked on nation wide comedy tour. His final performance was a sold-put Carnegie Hall. In 1974, he was presented with a Lifetime Achievement Award Academy Award. Soon after, Marx retired from public life. On August 19th 1977, Groucho Marx died from complication due to phenomena. He was 86. 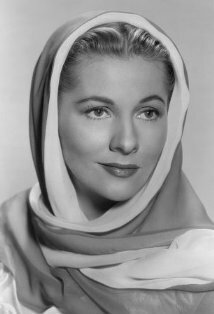 He was honored with two stars on the Hollywood Walk of Fame in the categories of Television and Radio. In addition, Marx was inducted into the Radio Hall of Fame and was immortalized on a US postal stamp in 2009. Marx was never nominated for an Academy Award. 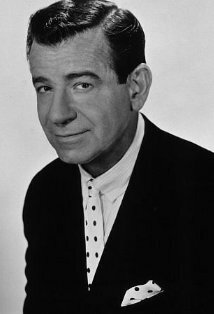 However he won one Honorary Award in 1973 in recognition of his brilliant creativity and for the unequalled achievements of the Marx Brothers in the art of motion picture comedy . Otis B. Driftwood: Let's go in my room and talk the situation over. Otis B. Driftwood: Well, er... what situations have you got? Mrs. Claypool: I most certainly will not go to your room. Otis B. Driftwood: OK, then I'll stay here. Mrs. Claypool: All right, all right, all right! I'll come, but get out. Otis B. Driftwood: Shall we say, uh, ten minutes? Mrs. Claypool: Yes, ten minutes, anything. But go! Otis B. Driftwood: Because if you're not there in ten minutes, I'll be back here in eleven. With squeaky shoes on! Biology Professor: Here is the liver. Professor Wagstaff: What, no bacon? I'd send that back if I were you. Professor Wagstaff: Young man, you'll find as you get older, you can't burn the candle at both ends. Professor Wagstaff: Well, I knew you couldn't burn something at both ends. I thought it was a candle. His father was a tailor.